Known for its incredible hospitality and delicious food, Knoxville has increasingly become one of Tennessee’s most cherished cities. The metropolis started off as a small town in the late 18th century, making it one of the oldest in the country, but that doesn’t mean you should count them out as being hip or trendy – as a host to fancy restaurants, exciting clubs, and posh hotels, you can easily find the 21st century as easily as you can see the past. 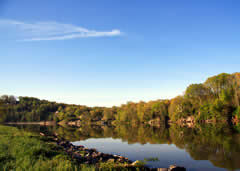 The state of Tennessee in general and the city of Knoxville, in particular, are famous for outdoor adventures. There are plenty of options when it comes to hiking, camping, mountain biking, and other similar stuff. 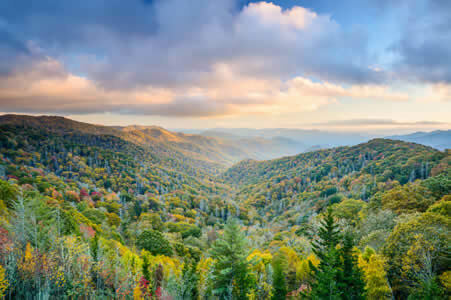 Nantahala National Forest from North Carolina and Daniel Boone National Forest from Kentucky extend into this state, allowing people a lot of opportunities to have fun. Moreover, the Chuck Swan State Forest and Catoosa Wildlife Management Area are also present in the state, adding to the fun options of both locals and people coming from outside. TYS Airport, also known as McGhee Tyson Airport, is a central airport in the state. Though it is not as big as others airports in other cities, but it is well-maintained and offers clean facilities to its visitors. It has free Wi-Fi facilities allowing people to remain connected with their friends and loved ones over the internet. Talking more of the airport, the thing which adds to its value is an adjacent National Guard Air Base. If you have time in your flight then you can come here and learn more about the heroics of American National Forces. Everything associated with Knoxville is beautiful. And by this I mean everything; the skyline, the mountainous terrain in the backdrop, the weather, and the people as well. TYS Airport is present in the outskirts of the city on the southern side. It is present amidst the state of the Tennessee, therefore majority of locals use this airport as a means of commute. The McGhee Tyson Airport is a relatively uninteresting airport, gaining about as much traffic as one would expect for a metropolis as small as Knoxville. By booking a shared ride van with us, one will not only get a safe and quick ride to downtown, which is a quick 12-minute drive, but have their bags handled as well. Don’t bother waiting for a taxi and make sure you arrive to the airport on time by scheduling a pickup and drop off. Knoxville’s iconic Sunsphere is over 80 meters high and shaped as a beautiful hexagonal ball standing at the top, gold-colored and a symbol of the historic 1982 World’s Fair. Visit the area as well as other nearby attractions like Market Square, host to ice skating and other fun events, by booking a private van with the trusted name in Knoxville transportation by area providers. Knoxville has some of the most beautiful downtown streets, each alley and sidewalk worth seeing, whether you’re walking by foot or driving in an intimately sized vehicle. Experience Gay Street, one of the city’s most vibrant roads that traverse through the heart of the city, by scheduling a private sedan for your trip, seeing all the historic architecture from the comfort and relaxation of your own car. Because downtown has ample parking, pull the car over and go for a relaxing stroll. The Tennessee Theatre is a historic space that’s been refurbished for new world-class shows looking for a fun venue to perform. 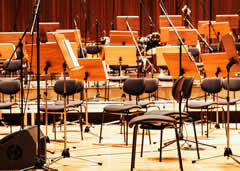 If you’re visiting with your family or a group of theater music lovers, be sure to check it out by riding with one of our many private SUV’s, seeing other amazing hotspots like the McClung Museum of Natural History, which showcases interesting artifacts and tidbits on the area’s culture. Because of Knoxville’s barebones simplicity, many visitors wouldn’t expect much of from a local luxury restaurant, but you’d be surprised at just how elegant the Belgian bistro, Northshore Brasserie can be. Get a bite of the menu’s diverse cuisine, which also includes French, by booking a fun limo for your travels. Pick up service is more than accommodating to people’s luxurious needs, whether it be a trip to the fanciful bar at the Crowne Plaza or a night drive through the city’s quiet downtown streets. If you’ve got a bigger group than average, be sure to allow plenty of room for everyone to hop aboard. Show up to the historic Bijou Theatre, a beautiful old building that holds a performance hall and art gallery, by allowing ample room in one of our chartered buses. 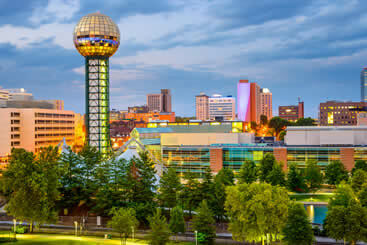 There are a variety of different cultures to experience in Knoxville, especially if you’re arriving for the first time. Don’t miss out on any of the fun just because you can’t get around as a group – contact us today and experience the vacation of a lifetime. Usually people say that National Parks leave people breathless, but due to the elevation of the Great Smoky National Park, you most likely will. Bordering the high mountains and crossing with the beautiful Appalachian Trail, this park is a must-see for any family member. If you’re into vaudevillian history or are simply looking to get some insight on an architectural masterpiece, the Tennessee Theatre is host to world class shows, an amazing atmosphere, and a fine drink bars. Many don’t realize Tennessee is known for their many wetlands, but it’s actually a huge part of their ecosystem. Home to some of the country’s finest recreational culture, Ijams Nature Center offers a variety of activities, including a quarry, 40-miles of trails, and 10 separate parks that are perfect for bird watching or taking photos. The McGhee Tyson Airport is an incredible facility located about 12 miles south, making it closer to Alcoa than the city of Knoxville. Because of this, it’s imperative that you figure out your transportation needs before you arrive. For particular transportation needs, Knoxville is accommodating. There are several taxi services waiting outside of the airport’s entrance, including 1-n-Only Airport Taxi, AAA Taxi, and All Access Taxi. If you’re in need of a charter bus, you can get easy rides through Affairs of Style as well as Rocky Top, both of which can be arranged for pickup or drop off online. For a nice hometown feel, visit The River Overlook Bed & Breakfast, an incredibly comfy space located within a quaint home along the heart of the Tennessee River. If it’s luxury you’re after, check into the Hilton Knoxville – with modern rooms and a downtown location, you can’t go wrong! The Tomato Head is an affordable, but high-class pizzeria with freshly baked pizza pies. The pizza joint also has the courtesy to offer a variety of vegetarian options! If you’re more in the mood for American cuisine, go crazy at Café 4, which is a local café and bakery that also happens to sell comfort food. If you want to observe more high culture, visit the Clarence Brown Theatre for a Broadway style show in the heart of the south. Although Shakespeare would frown at you disapproving of the idea of not going to a play, he’d love for you to get in touch with nature, especially if it’s at the House Mountain State Park, a wide-ranging area with astounding beauty and close vicinity to downtown.